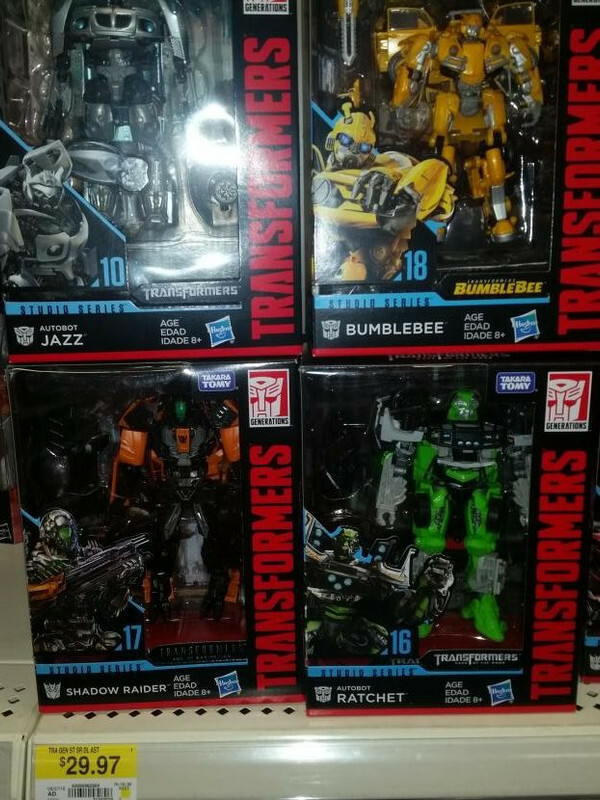 Thanks to our friend and board member Matrix_Holder we have a confirmed sighting of the Transformers Studio Series Wave 3 Deluxe figures hitting Canadian shelves. The figures were spotted in a Toronto area Walmart. If you spot these figures or any others be sure to let us and your fellow fans know over in the sightings forum. Last edited by Ultra Maverick; 09-23-2018 at 03:19 PM. Nice, but which store exactly? Larger pic posted to help people see better what they are. Last edited by Xtreme987; 09-23-2018 at 06:24 PM. I don't know why it keeps going sideways in my sighting posts haha. Side note, that bumblebee is pure garbage. Loose, parts fall off so easily( the hands are only held on by friction peg, no pin and it comes off with no pressure at all) and it feels like cheap dollar store knock off plastic. It is not worth even 10 bucks, let alone 30. I don't know why it keeps going sideways in my sighting posts haha. There ya go Matrix. Fixed it for ya. I'm returning it today. It's absolutely trash. His arm cannon doesn't hold at all unless it's pointing straight up. I would say that this bee is the worst official figure I have purchased in the last 5 years or so, it's definitely dollar store ko quality and not wei jiang quality at all, wei jiang has great quality where this figure is just trash which is very unfortunate because I was actually looking forward to this vw bug bumblebee, I really wanted it to be good.